Cancellation charges for all group booking where less than 56 days notice is given are set on the sliding scale below. All cancellation charges are calculated from the day written notification is received by Beatty Lodge. These charges are based on how many days before the date of the first night we receive your cancellation notice. Strictly non-smoking establishment. $200 security deposit required for groups over 10 and $500 security deposit required for groups over 20. Any groups under ten must pay a individual $20 deposit for keys. Beatty Lodge specialises in large group bookings. It is an ideal place to base yourself for a group visit to Perth. We have ample parking, lots of options for group catering and are close to the city and all major transport links. 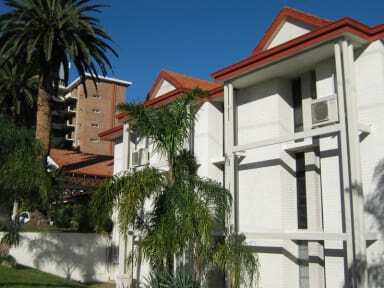 Beatty Lodge is Perth's premier budget accommodation lodge. We are conveniently located approximately 2kms (10 minutes) from Perth's city centre where you can go on great shopping trips or head off to Northbridge for its vibrant nightlife. We are a quality budget accommodation lodge ideally suited to both groups and individual travellers. We provide a clean and secure environment where you can relax and meet new fellow travellers and make new contacts for future trips. Our friendly staff are available to assist you with tours, car hire and general information and we offer a wide range of facilities including a swimming pool, mini gym, TV lounge with Foxtel, free car parking, guest laundry and televisions are standard in all rooms except dormitories. Beatty Lodge has a relaxed environment with clean and comfortable surroundings and with the diverse variety of cultures that magnatise to here on a regular basis, it's a perfect meeting place for travellers. Come and experience this friendly lodge for yourself whether in Perth for study, sports, business or pleasure, we have the facilities and amenities at you disposal to make it an enjoyable stay. 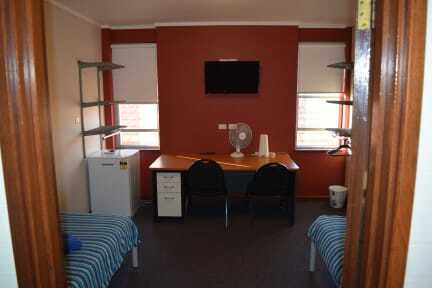 Our rates start from $35 a night in a dormitory which accommodates upto 6 people, and $38 in a 4 bed dorm. Single rooms are from $55 a night, twin and double rooms for $70 a night, and triple rooms at $38 p/p a night. Weekly rates available.